You have probably guessed that you cannot go ice climbing on a glacier with your toddler and that a multi-day wilderness backpacking tour may be too exhausting for your grandpa. But, would you have guessed that there are easy and safe ice cave tours and ice lagoon boat tours that are suitable for people of all ages? An age limit is something that no one likes to encounter during a vacation. 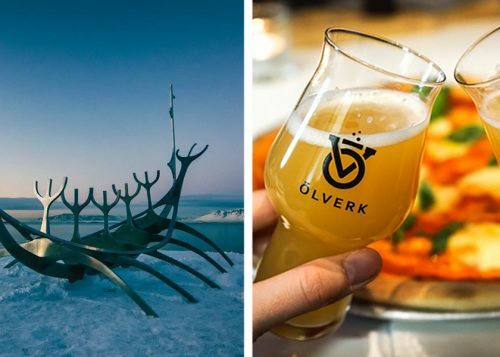 While Iceland’s rugged terrain undeniably sets limits on some specific activities, there are still plenty of amazing opportunities left for those who are sometimes excluded from tours due to age limits. 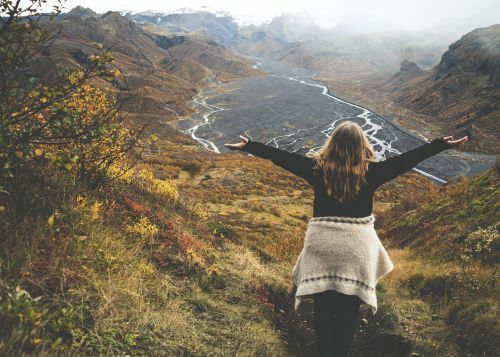 Here is our ultimate recommendation list of the best Iceland adventures for travelers of all ages! 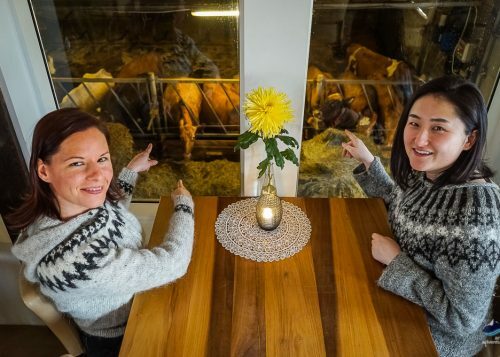 Icelandic food is among the healthiest in the world! Everything is organic here! 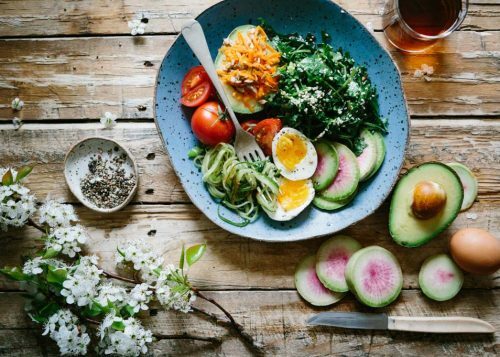 The freely grazing livestock, the wild Arctic fish, and the chemical-free plants make first-class ingredients for what may be the best quality food you have ever tried. Visit the world’s most famous hot dog truck while wandering around Reykjavík’s small but gorgeous downtown area. Walk among the colorful Scandinavian-style buildings and enjoy the spectacular street art. 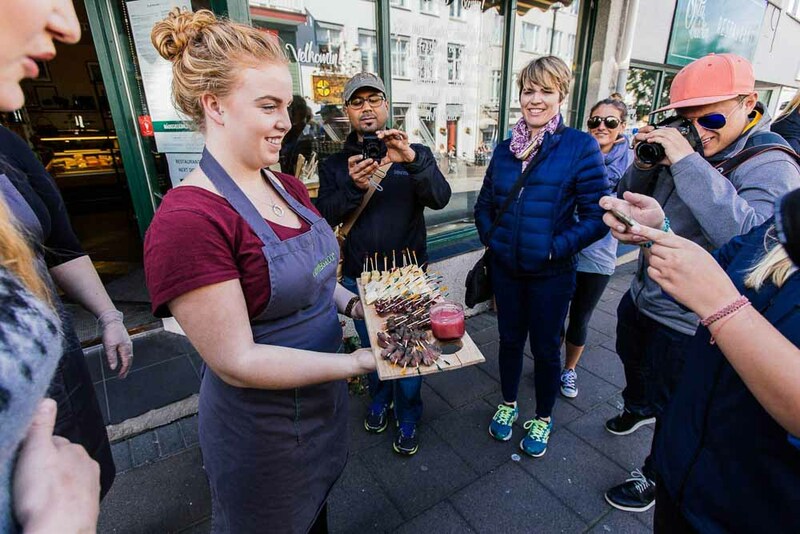 A Reykjavík food walk tour is an extremely easy, healthy, and family-friendly activity that will surely entertain anyone, regardless of their age! 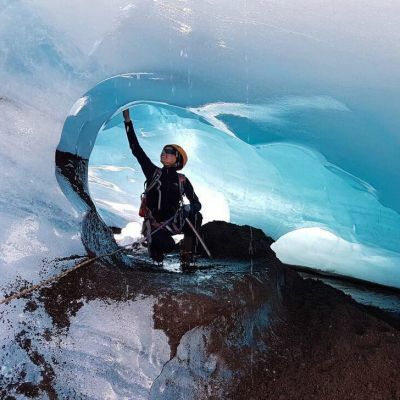 This extraordinary day tour is the perfect combination of a comfortable nature sightseeing tour and an adventurous trip into the body of a glacier. During the scenic road trip past breathtaking mountain ranges with views of the ocean shore along the way, this tour stops at the most interesting locations. This sightseeing route is often called The Silver Circle. We will visit the fluffy, friendly Icelandic horses on a horse farm and explore the most powerful hot spring in all of Europe. 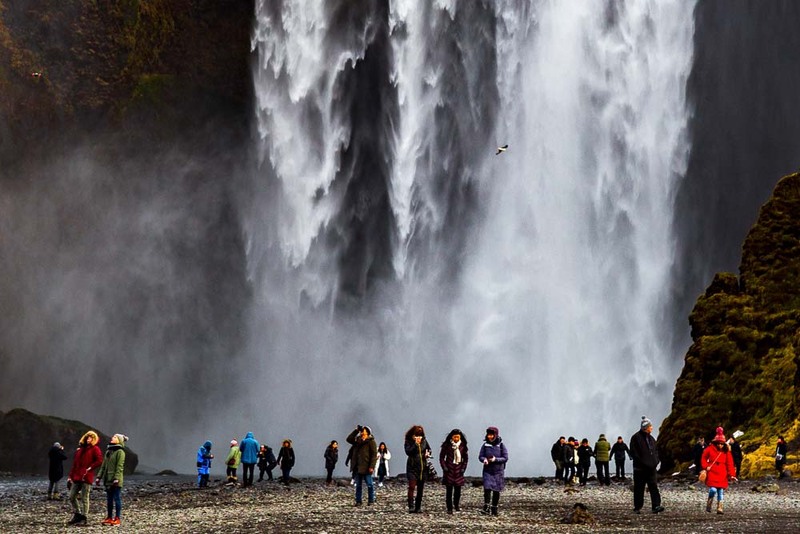 We will also see one of Iceland’s most interesting waterfalls that magically appears from under the ground and discover an age-old historical village. These places are all safely and easily accessible within only a few minutes’ walks from the car parks. The main attraction of this tour, however, is the glacier exploration. The Langjökull Ice Cave Experience tour takes us right up to the second largest glacier in Iceland. At the edge of Langjökull, we will climb into a gigantic ice terrain vehicle that we call the Monster Truck. This monster can navigate the rugged ice terrain safely and softly while the large windows provide fantastic views of the glacier. 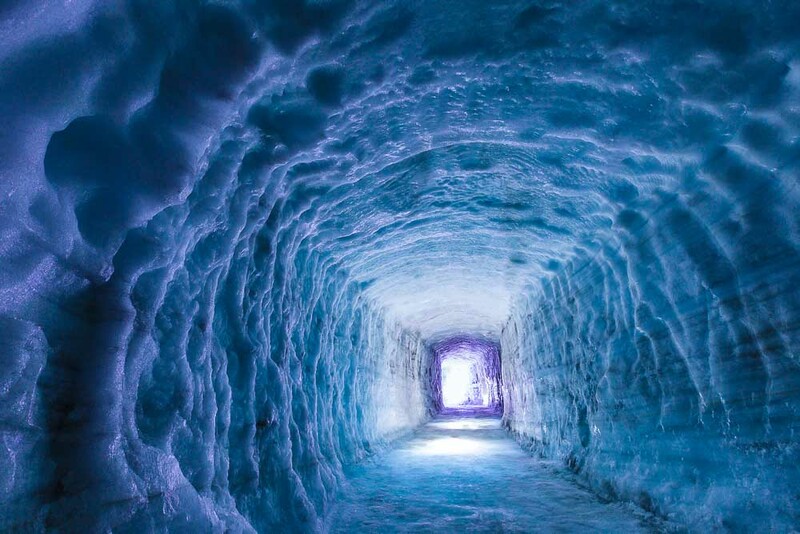 There is a man-made ice cave carved inside the glacier that we can enter easily which will allow us to securely walk around within the beautifully blue ice tunnel. We will be able to admire the incredible ice formations, the deep moulins delving into the ice, the different ice layers, and the great labyrinths of sharp crevasses. Even though the ice cave is man-made, it is constantly changing as it was fashioned by nature. This is the ultimate ice adventure that you cannot miss out on during your Iceland vacation! Jökulsárlón is a beautiful lagoon at the tip of Europe’s largest ice cap, the Vatnajökull glacier. At the point where the glacier reaches the large lagoon, massive chunks break away from the glacier tongue as it melts. This so-called “calving process” is completely natural. The giant pieces then start to float across the lagoon, moving toward the ocean. The sight of this iceberg-filled lagoon is otherworldly and leaves no one untouched. It is no wonder why many refer to Jökulsárlón Glacier Lagoon as the crown jewel of Iceland. On this very lagoon, amphibian boat tours are offered to those who want to witness the floating icebergs up close and personal. This adventure is something that anyone can enjoy. There is no age limit on the lagoon tour as it is safe and comfortable for children and elderly alike! The amphibian boat is spacious and offers the rare opportunity to have a closer look at the astonishing beauty of the lagoon and to preserve it in their memories forever! Whales are among the most enigmatic creatures on our planet and they tend to especially love the Icelandic waters. Unique in the world, we have a 95-99% chance of spotting these creatures during a whale watching tour in Iceland in summer! From among 23 whale species, humpbacks, white-beaked dolphins, minke whales, and harbor porpoises are most commonly spotted in the Icelandic waters. Sightings of majestic blue whales, sperm whales, and beautiful orcas are not unheard of either. Whale watching tours are offered all over the country, but Reykjavík and Dalvík are by far the most popular places. Reykjavík is the most straightforward option for those who do not plan to travel all around the country. Dalvík, however, is a small village located in the north of Iceland which offers slightly better chances to see whales than Reykjavík. Both locations offer high probabilities for success and you can find tours without age limits at both. Boat tours are easy, fun, and offer the chance to encounter Iceland’s incredible wildlife! 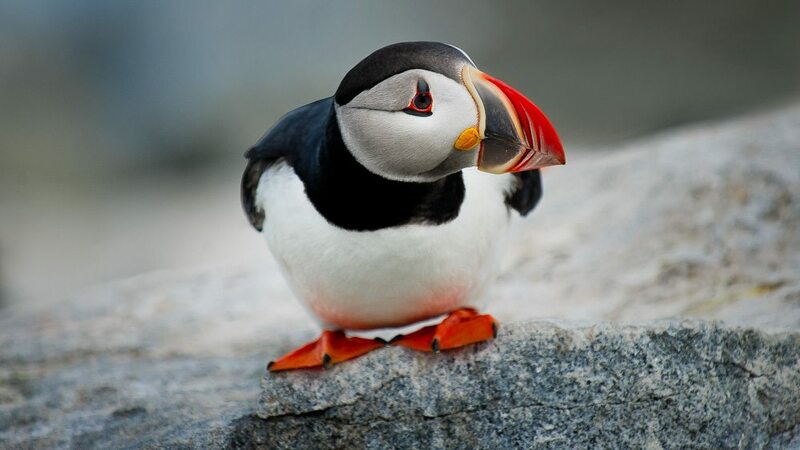 Thanks to their ridiculously cute appearance, finding and admiring Atlantic puffins has become one of the top summer activities for travelers in Iceland! The country hosts more than of 60% the world’s entire Atlantic puffin population, with 8 to 10 million puffins inhabiting the island during the summer. Even though this cute little bird is not the national animal of Iceland, when walking along the shopping streets in Reykjavík, you might get the impression that they are. You cannot find a souvenir shop where Lundi (“puffin” in Icelandic) is not the superstar. These cute little birds can be found at many locations all over the country. The closest locations for travelers are the two small, uninhabited islands Akurey and Lundey, located just offshore from Reykjavík. Not only puffins can be found here but also many rare Arctic bird species such as cormorants, black guillemots, eider ducks, seagulls, kittiwakes, arctic terns, and northern fulmars. Puffin watching tours operate with multiple departures throughout the summer, with no age limits, and with a 100% sighting guarantee! It is not only the puffins that make this tour truly enjoyable but also the amazing views of Reykjavík as seen from the sea! While some of the opportunities are summer dependents, such as puffin watching and the ice lagoon ride. Other beauties, however, can fill your mind with awe and wonder in the winter season. Iceland offers the amazing opportunity to see the Northern Lights 7-8 months per year. From all of the northern countries, Iceland is the ideal travel destination for a Northern Lights tour as it is the least cold thanks to the warm Gulf Stream that flows around the island. The temperatures in Reykjavík stay around 0°C (32°F) in winter, making your Northern Lights experience much more comfortable and enjoyable than anywhere else in the world. The Northern Lights start to appear in the skies around the end of August. At the same time, the puffins leave the land. From September all the way to April, over eight months of the year, you have the amazing opportunity to see the Northern Lights dancing through the dark skies. Joining a Northern Lights boat tour is the best thing you can do! It is the quickest and most entertaining way to get out of the light pollution of the city. You can always jump back into the heated cabin for a hot chocolate if you feel a bit chilly while waiting for the show to begin. The Northern Lights boat tours are suitable and absolutely delightful for people of any age, for sure! Aside from the Iceland tours with no age limit highlighted above, there are far more great tours available if you are traveling with a child who is older than 6 years of age. The majority of tours are suitable and even offer discounts for children. For most of the minibus tours and sightseeing day tours, the minimum age is 6 years, while it is 8-10 years minimum for the hiking, caving, ice cave, and glacier hiking activities. Our comfortable minibusses and Super jeeps are absolutely suited for senior travelers. From among our wide selection of sightseeing tours, I would highlight the South Coast, Snæfellsnes and Golden Circle tours especially. None of these include long walks, difficult terrain or any challenge that is more demanding than an easy walk. Our great multi-day tours are suitable for families with children aged over 8 and they are also ideal for older travelers. These tours include traveling on Iceland’s paved roads with lots of stops along the way. Visiting the natural highlights usually involves only a few minutes of walking on easy terrain, therefore they are suited for people of any ages.